Sisko’s had it up to here. This far and no farther… wait. Wrong captain. 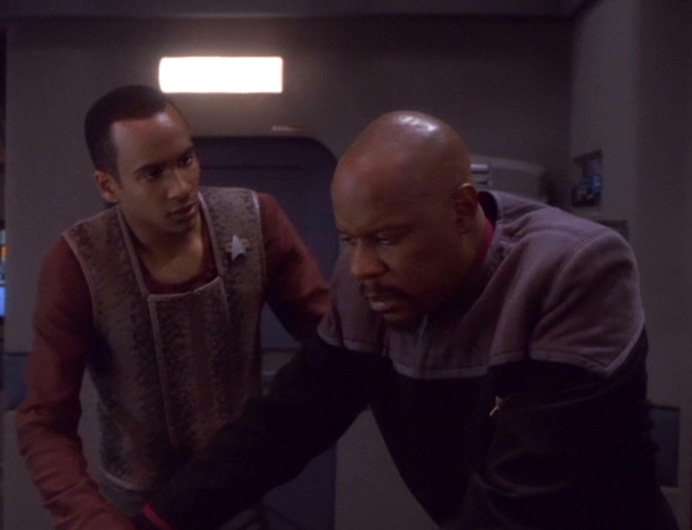 The war isn’t going well and Sisko’s fed up with looking at casualty reports. He decides that he’s going to find a way to bring the Romulans — who’ve had a non-aggression pact with the Dominion since “Call to Arms” — into the war to help the Federation. 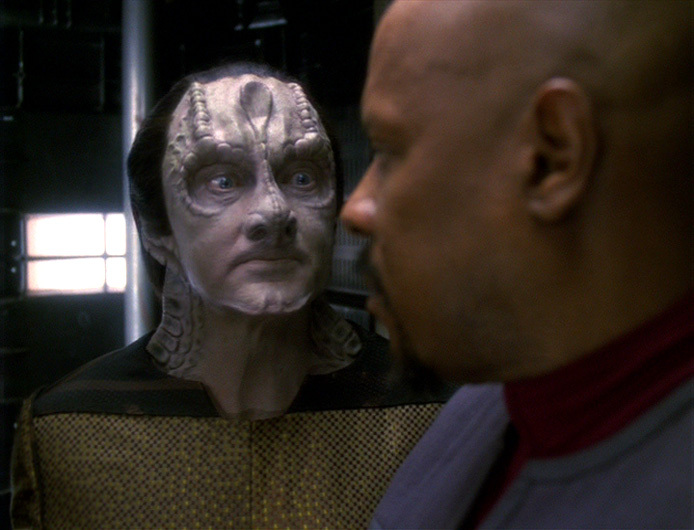 He enlists Garak’s help, and the plan starts getting messy. 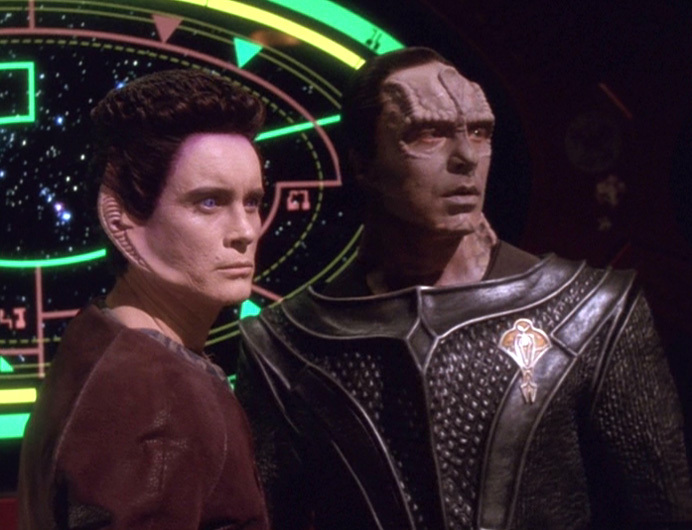 Garak suggests that Sisko invite Romulan Senator Vreenak (Stephen McHattie) to the station for a secret meeting and provide a forged recording of Damar and Weyoun discussing invading Romulus. After going to great lengths and doing a bunch of unethical things to create a recording that will pass muster, the deception fails, and Vreenak heads back to Romulus. Then Sisko learns that Vreenak’s shuttle has been destroyed, by Garak, in a way that makes it appear the Dominion was behind it. 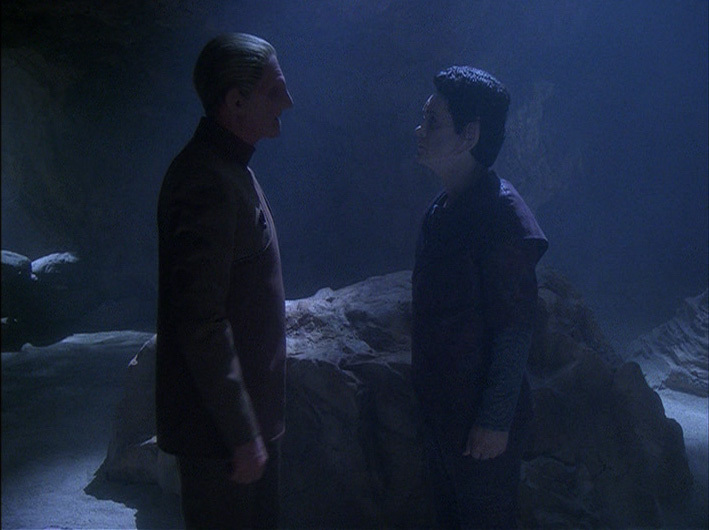 The Romulans declare war on the Dominion … but at the cost of Sisko’s self respect and possibly his soul. 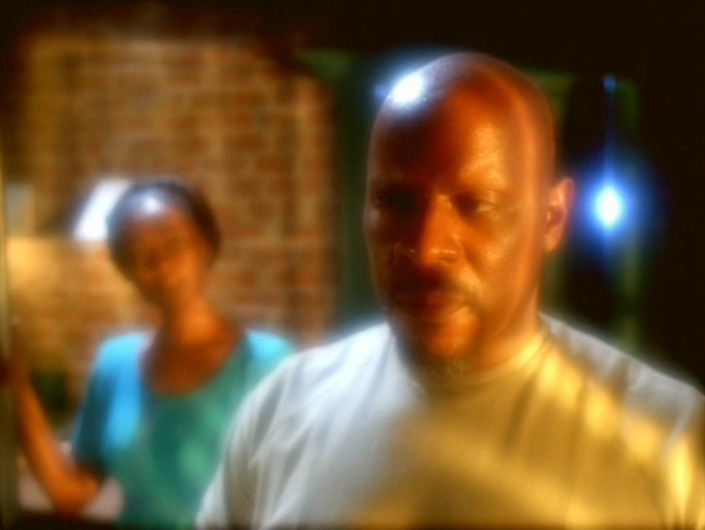 The episode ends with Sisko telling himself (in a personal log entry) that he can live with his actions, but he’s clearly not sure himself. 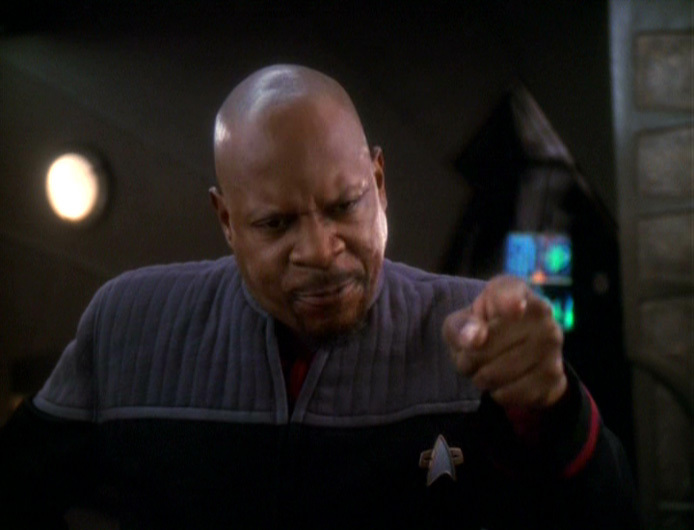 Sisko’s actions though morally questionable, likely won the war for the good guys. The Romulan entry in the war changes the math and the Federation/Klingon/Romulan alliance goes on the offensive later this season. By the seventh season, the tide in the war had clearly turned. 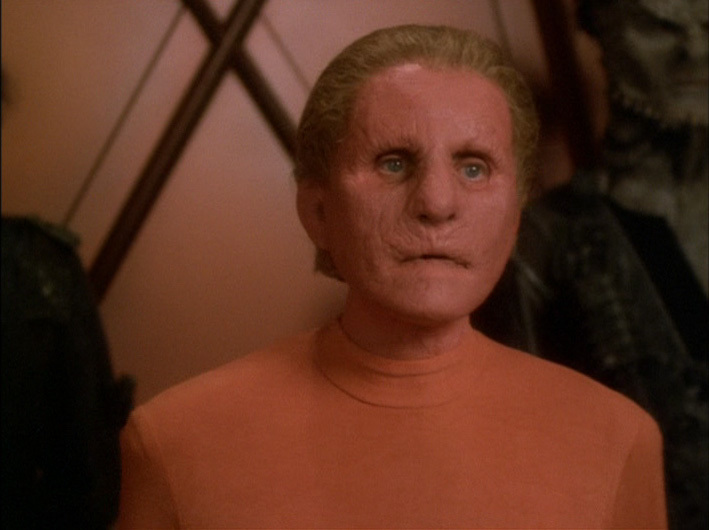 For the second consecutive episode, DS9 really shook the Star Trek “way” to its very core. 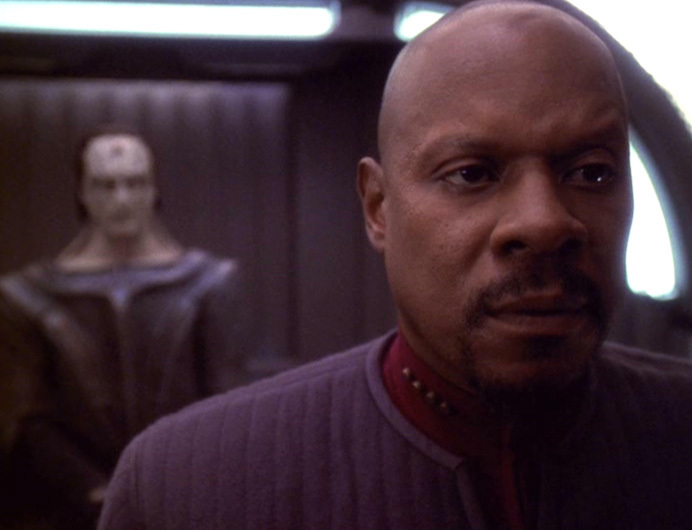 Sisko, by his own admission lied, cheated, made bribes and was an accessory to murder. It’s hard to imagine Roddenberry signing off — considering he was against his heroes even having cloaking devices. 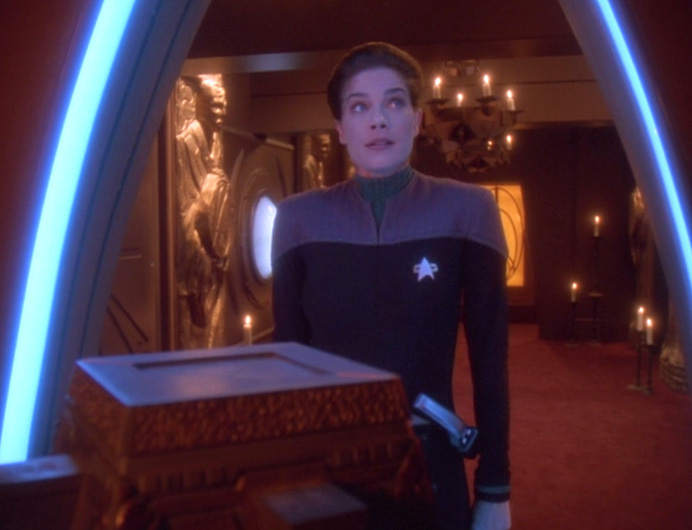 It’s arguable as to whether that makes this episode not hold up — the moral ambiguity of DS9 actually makes it hold up better than some other Trek in an era of shows like “Breaking Bad” and “The Wire”. But as far as consistency within the Trek universe, what we see here is a big departure. 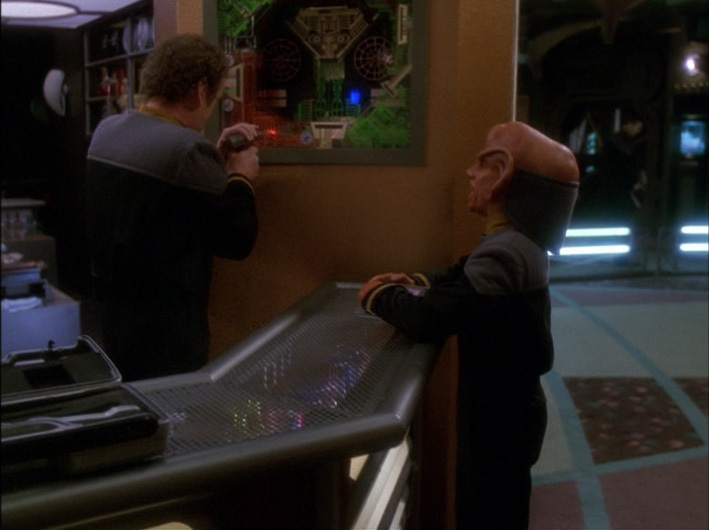 What truly doesn’t hold up is the idea that Sisko would take this all on by himself. Keep in mind that the Federation and Starfleet are HUGE organizations. Sisko’s plan here is the kind of maneuvering that really would have made more sense in early DS9, when Sisko was involved in the politics of Bajor, just one planet. 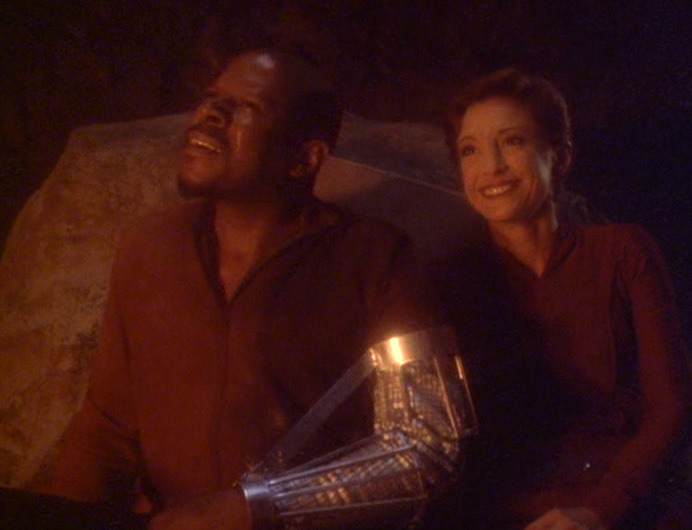 But the idea that Sisko — in just two weeks! — could make such galaxy-altering moves is kind of ridiculous. 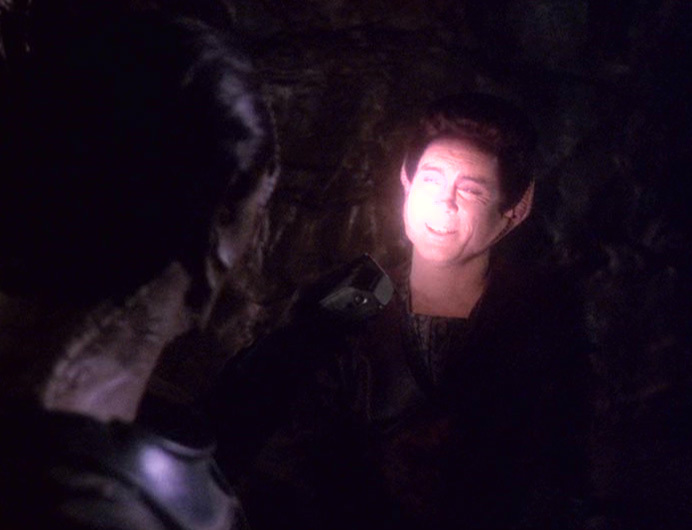 If DS9 hadn’t already established itself as the Trek series with the darkest tone prior to the sixth season, it certainly got there with “In the Pale Moonlight” and “Inquisition” before it. The creators really must have decided not to F around anymore. That’s not really a bad thing, but it was a clear uptick — a HUGE uptick — in the show’s narrative approach. 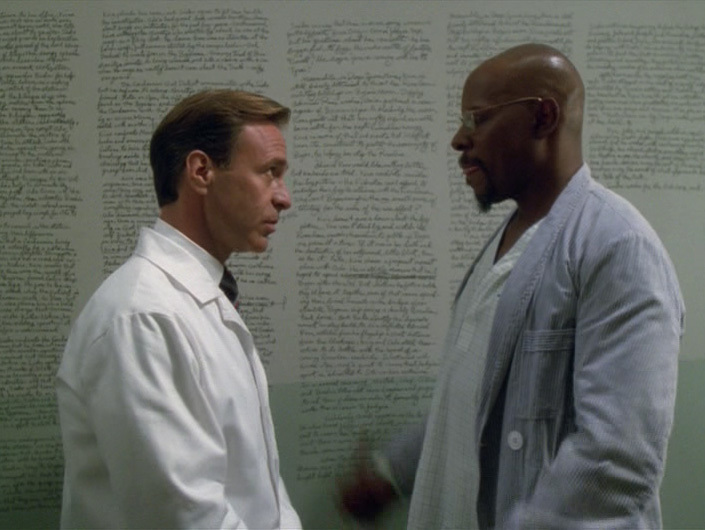 Put another way, it’s hard to imagine Kirk, Picard or Sisko in early DS9 doing what Sisko does here. Terry Farrell heads to “Becker”.